Billed as “A community discussion about humanity’s future in space”, the biweekly Mars Talk podcast features Mars Society chapter leaders and other guests to discuss the Society’s activities and those of individual chapters. The podcast will also provide commentary on recent space news, such as commercial space activities and those of the worldwide space agencies. The first episode of Mars Talk was recorded on Friday, April 12th and is hosted by Christopher Tarantola from the Mars Society’s Chapter & Outreach team. Christopher is joined by two co-hosts: James Burk, the Society’s IT Director and organizer of the Seattle chapter, and Lucinda Offer, the Society’s Executive Director and organizer of the UK chapter. Christopher, James, and Lucinda provide commentary on the recent NASA return to the moon announcements, SpaceX & Boeing’s commercial crew activity, the recent Falcon Heavy launch of ArabSat-6A, Israel’s SpaceIL mission to land on the Moon, India’s anti-satellite test and its aftermath, and several other current space-related news items. In addition, Lucinda provides an introduction to the Mars Society and the recent projects and activities done by our worldwide network of chapters. What Has NASA's HiRISE Seen Over Some Of Mars' Most Interesting Craters? Last edited by Star Tsar; 16th April 2019 at 08:19. Matthew Tiscareno and Mark Showalter discuss the latest discovery of the seventh inner Neptunian moon, Hippocamp. An exploration of the concept of dark galaxies, objects composed almost entirely of dark matter and their implications on cosmology. Engineer Brittany Zimmerman of Paragon Space Development Corporation joins us to talk about the different ways Space wants to kill you. We cover how Paragon is working on Life Support And Environmental Control Systems, including water purification to help keep us all alive on out journey to Mars. This one is an eye opener including a lot of stuff that will be required if us ugly giant bags of mostly water are to colonize the solar system. Dr Pamela Gay with your space & astronomy news for the past two days. Last edited by Star Tsar; Yesterday at 05:25. NASA’s Transiting Exoplanet Survey Satellite, TESS, has discovered its first Earth-sized exoplanet. The planet, named HD 21749c, is the smallest world outside our solar system that TESS has identified yet. In a paper published today in the journal Astrophysical Journal Letters, an MIT-led team of astronomers reports that the new planet orbits the star HD 21749 — a very nearby star, just 52 light years from Earth. The star also hosts a second planet — HD 21749b — a warm “sub-Neptune” with a longer, 36-day orbit, which the team reported previously and now details further in the current paper. Last edited by Star Tsar; 16th April 2019 at 09:37. With the ongoing wave of wireless tech, smart devices and now 5G infrastructure and deployment, levels of cumulative non-ionizing radiation are reaching limits hazardous to human health. Speak your truth even if your voice shakes. Climate scientists are currently advocating a ‘strike first’ preemptive move against climate change and global warming although you probably won’t have heard much about it. The plan is to block the sun, akin to mimicking a volcanic eruption, which is why it’s called The Mount Pinatubo Effect which would implement an ongoing aerosol injection campaign in the atmosphere in order to veil incoming SUNLIGHT. Lack of public information shielded by an abundance of confusion tactics, misinformation, outright denial, and euphemistic terminology have worked so far to hide the facts. But those demanding to know the truth have been paying careful attention to the evolution of the terminology surrounding what many of us have known up to now as ‘chemtrails’. Language does indeed matter. The media even coined the term Secret Large-scale Aerosol Program (SLAP) as a dead end for people new to the subject. Little did we know then that the regime was just buying itself a bit more time before launching its crazy scheme this coming spring. According to experts, there is no such thing as chemtrails in the skies, and what we see is actually contrails coming out from aircraft. However, conspiracy theorists strongly believe that governments are secretly spraying chemicals in the skies for various reasons including weather control, solar radiation management, psychological manipulation, and human population control. Climate scientists, however, are very divided as to what causes global warming. Similarly, it is not understood what the effects of geoengineering intervention are or will be, nor how nature will react. The level of unpredictability calls for risk assessment analysis that focuses on the probable outcomes. Space News | Wal Thornhill : Black Hole Or Plasmoid? In this interview recorded on April 8, 2019, physicist Wal Thornhill discusses why the recent so-called "first picture of a black hole" actually affirms the plasma cosmology hypothesis that the object at a galactic core is not a black hole at all but an ultra-high density energy storage phenomena called a Plasmoid. A bright blast of X-rays from a source in a distant galaxy has led astronomers to a fascinating discovery. Neutron stars are dense stellar objects that contain extreme physical conditions that are impossible to replicate on Earth. Occasionally, they can merge with each other. Until now, every neutron star merger seen has been followed by a flash of gamma rays. This new source, dubbed XT2, is different. Scientists saw it changing in X-rays in Chandra data from 2015. By comparing the Chandra observations to theoretical models, researchers identified XT2 as a neutron star merger. This new finding will help astronomers learn more about the interior of neutron stars and give them a new method for finding mergers between them. A bright burst of X-rays has been discovered by NASA's Chandra X-ray Observatory in a galaxy 6.6 billion light years from Earth. This event likely signaled the merger of two neutron stars and could give astronomers fresh insight into how neutron stars — dense stellar objects packed mainly with neutrons — are built. When two neutron stars merge they produce jets of high energy particles and radiation fired in opposite directions. If the jet is pointed along the line of sight to the Earth, a flash, or burst, of gamma rays can be detected. If the jet is not pointed in our direction, a different signal is needed to identify the merger. The detection of gravitational waves — ripples in spacetime — is one such signal. Now, with the observation of a bright flare of X-rays, astronomers have found another signal, and discovered that two neutron stars likely merged to form a new, heavier and fast-spinning neutron star with an extraordinarily strong magnetic field. Chandra observed the source, dubbed XT2, as it suddenly appeared and then faded away after about seven hours. The source is located in the Chandra Deep Field-South, the deepest X-ray image ever taken that contains almost 12 weeks of Chandra observing time, taken at various intervals over several years. The source appeared on March 22nd, 2015 and was discovered later in analysis of archival data. This result is important because it gives astronomers a chance to learn about the interior of neutron stars, objects that are so dense that their properties could never be replicated on Earth. 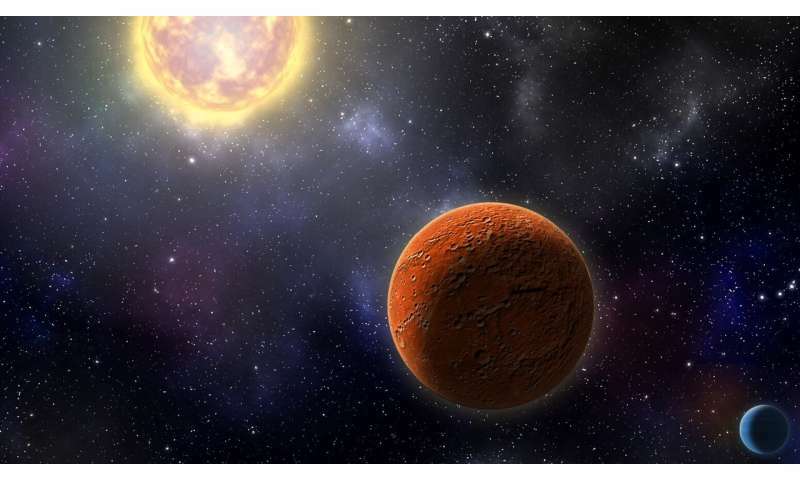 Astronomers have discovered a third planet in the Kepler-47 system, securing the system's title as the most interesting of the binary-star worlds. 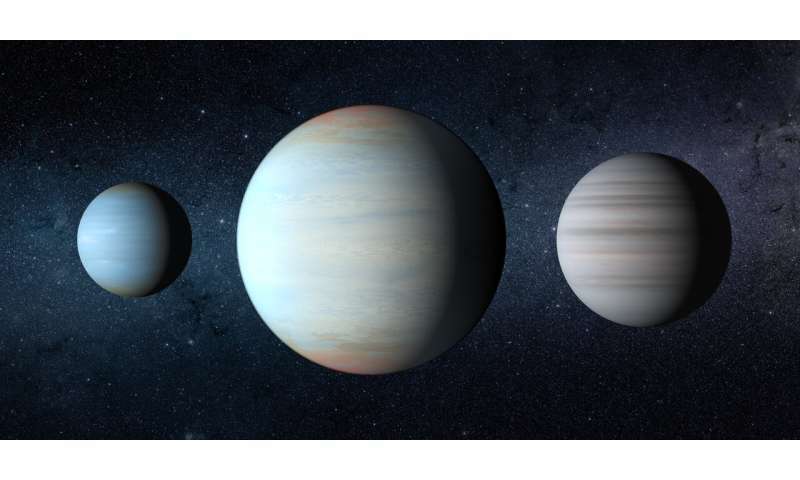 Using data from NASA's Kepler space telescope, a team of researchers, led by astronomers at San Diego State University, detected the new Neptune-to-Saturn-size planet orbiting between two previously known planets. JOHN GREENEWALD, Jr: Starting at the age of 15, John Greenewald, Jr. was struck with a curiosity that led off a lifelong journey. First researching the UFO phenomenon, Greenewald began utilizing the Freedom of Information Act (FOIA) to hammer the United States Government for answers, and he targeted every government agency to get them. As he waited for answers on this niche of the paranormal, he then branched off to investigate nearly every government secret imaginable. He was a sophomore in high school when he first started his trek in 1996, and he archived all of his research on a website that became known around the world as The Black Vault. Today, he has amassed well more than 2,000,000 pages of declassified records. His efforts throughout decades of research have been responsible for getting hundreds of thousands of pages that have never seen the light of day into the public domain. He has appeared on numerous television and radio programs throughout the world and is frequently sourced in various news articles and stories for his archive and his discoveries. Joe Murgia, aka UFO Joe, is a freelance Director of Photography and Camera Operator. He also runs the website UFOJoe.net, where he posts important UFO news and updates. One thing Joe does that is invaluable to the UFO research community, is that he transcribes important interviews. Recent transcriptions include interviews with George Knapp, Harry Reid, many of the 2004 Nimitz UFO encounter witnesses, and more. In this episode, we get to know Joe and his work. We talk about how Joe got involved with UFOs, and what inspired him to start UFOJoe.net. We also discuss his views on the remarkable ongoing revelations regarding government investigations of UFOs. MJ & Rich Hoffman in their discussion concerning the future of UFO discourse in the hallowed halls of Science. Blue Avians are on the menu as the pair discuss the recent SCU Conference, the recently released SCU Nimitz UFO Report, and what role science has in seeking the unknown. Grab a seat. Order an espresso. Welcome to the Cafe. Joseph Burkes, MD, is a board certified specialist in internal medicine. He is coauthor of the chapter titled "Medical Healings Reported by UAP Contact Experiencers: An Analysis of the FREE Date" in the anthology Beyond UFOs: The Science of Consciousness and Contact with Non Human Intelligence "Volume 1". Here he describes the details of his work with several organizations of using mental techniques including visualization and meditation to initiate visual contact with unidentified aerial phenomena (UAPs). These contacts included ostensible two-way communication with glowing orbs and lights in the sky and instances of missing time. Eventually, he concluded that the intelligences behind the phenomena were capable of manipulating human consciousness and human belief systems. Linda with a special report this week Notre Dame cathedral, Earth Magnetic field, Solar minimum plus more news from around the galaxy. Mary Rodwell | NEW Human - NEW Normal - NEW Revelations You WON'T Believe! ET contact researcher and hypnotherapist Mary Rodwell joins Higher Journeys once again to discuss some of the new revelations she's uncovered from her extensive experiencer interviews and research. We discuss the phenomenon of missing pregnancies, ET-human hybrids on earth and off planet, soul walk ins, as well as stunning testimony from who she calls "The New Human." We also once again tackle the idea of autism including ADHD, Aspergers and other so-called "disabilities." What are they really? and what will the consequences be if we don't learn quickly who and what these extraordinary humans are and why they are here? Mary will be discussing these topics as part of her presentation at the upcoming CONTACT IN THE DESERT event in Indian Wells, California 2019. Go to http://www.contactinthedesert.com to learn more!